.5m CX4-CX4-S/.5m CX4 10Gb/s Ethernet Cable - 'Squeeze' Latch $ 0.00 Please call for pricing and availability. 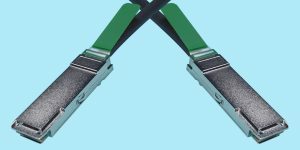 3m CX4-CX4-S/3m CX4 10Gb/s Ethernet Cable - 'Squeeze' Latch $ 0.00 Please call for pricing and availability. CX4 cables are assembled with premium Madison 8 pair, 100 ohm cable, and are available in lengths up to 15 meters. 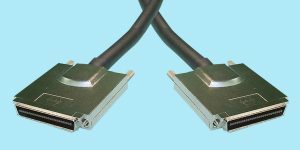 Standard connector type is the “pull” ejector style latch used for Infiniband SFF-8470, but configurations with side squeeze latches or thumbscrews are also available. 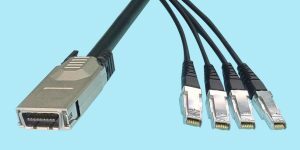 CX4 High Performance Cable Assemblies, part of the 10Gb Ethernet standard, provide superior signal fidelity over long distances using the smallest, most flexible cable. The assemblies are engineered to be compliant with the IEEE Draft P802.3ak/D5.3 specification. 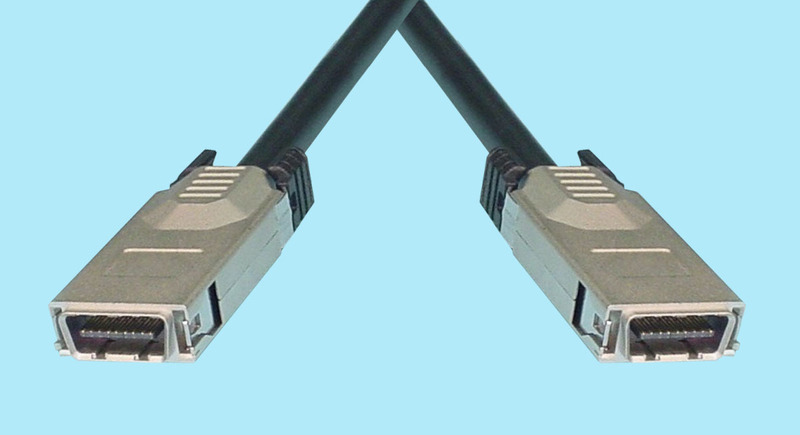 Cable assemblies for CX4 are tested to a higher test standard than are InfiniBand cables. 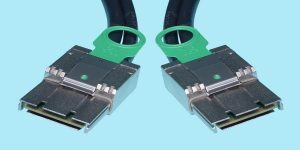 Therefore, CX4 cables are backwards compatible to Infinband, but Infiniband cables do not necessarily meet CX4 test standards.